Okay, so the products of BMC>MGR have not always been built or designed as well as they could have been – that’s why we have BL urban myths. But let’s not forget that, despite upper management ineptitude and Government meddling, the workers who actually built the cars still actively cared about the product. Here then is a gallery dedicated to these men and women… one to put right all of the misconceptions about the company and its products – those that the press and public at large like to perpetuate. Please send us your best suggestions by commenting or liking on Facebook. There are lots of urban myths flying around about the Allegro – some nice, some not so nice. Where to start? The Allegro is indeed more aerodynamic going backwards than it is going forwards, but so is just about every other car with a radiator grille at the front! Ex-BL Designer Stephen Harper confirms: ‘On the Allegro myth, it was more aerodynamic in reverse. This was proven when I was in the Sales and Marketing Motor Sport Promotion Department and John Howlett turned down sponsorship for a Danish racing driver who was planning to race in Holland. Wheels only fell off the Allegro, in the first instance, because the wheel bearings were assumed by a few careless mechanics to be the same as those used on the ADO16, but they were of a completely different design, and the consequent over-tightening was responsible for a few cases of hub failure! The Allegro’s lack of structural integrity did, in extreme cases, lead to the rear window popping out when the car was jacked-up. Of course, this made good copy, but it only happened as a result of injudicious use of a trolley jack; in their panic, engineers marked the areas to be avoided underneath the Allegro with high-visibility tape, but the damage had been done – the story went national, and it persists to this day. The Allegro was not especially rust-prone in relation to the opposition and, despite what its detractors say, Allegros had generally better rust-proofing than most of the opposition. This ‘rusty’ reputation probably relates to an article which featured in a very early issue of What Car? magazine that stated that the Allegro would suffer from rotting around the rear subframe! The author of the piece had canvassed a BLMC dealer garage mechanic at the time and asked him what problems the Allegro suffered from in service, but it was later revealed that the mechanic thought he was being asked about ADO16, then anything up to 12 years old. The consequent harm that was done to the Allegro’s image is immeasurable, especially considering it was less than a year old at the time of the article. Not really… The entity which we at the AROnline website affectionately refer to as ‘BMC>Rover’ has, of course, gone through many changes of name over years, most recently becoming the MG Rover Group in May 2000. Formed in 1952 with the merger of the Austin Motor Company and the Nuffield Organisation, it was first called the British Motor Corporation (BMC). When BMC purchased Jaguar (and its subsidiaries) in 1966, a new holding company called British Motor Holdings Limited (BMH) was created, with BMC Limited and Jaguar Cars Limited as subsidiary companies. In 1964 a Turkish truck-building company (BMC Sanayi ve Ticaret A.S.) was set up at Izmir (the birthplace of Alec Issigonis, incidentally) in partnership with BMC to build Austin and Morris trucks under licence. The company later became independent of British Leyland, but has retained its BMC name; indeed, its recent establishment of a distribution network in the UK has seen the BMC name re-appear here after an absence of around 30 years…The BMH initials reappeared in 1985, when BL Heritage Limited became British Motor Heritage Limited. According to Graham Robson’s authoritative book, The Cars of BMC, both BMH Limited and its subsidiary BMC Limited† ceased to exist as companies when they were formally wound up on 31 May 1968 in order to pave the way for the formation of the British Leyland Motor Corporation (BLMC), which came about as a result of the merger with the Leyland Motor Corporation. Yet, as can be seen from the above detail from a post-BLMC press advertisement, BMC was still going strong as a division of BLMC. Indeed, this was also reflected in the decision that BLMC’s light trucks, which had previously been sold under the separate Austin and Morris brands, would (from Autumn 1968 onwards) be badged ‘BMC’. The BMC name finally disappeared from the UK in 1970, when an internal reorganisation saw the mass-market division of BLMC renamed ‘Austin Morris’ (although it also encompassed the Mini, MG, Vanden Plas* and Wolseley brands), while the BMC trucks were rebranded with the Leyland badge. But who would have thought back then that BMC trucks would reappear on Britain’s streets some 30 years later… (see ‘By the way…’ panel). † A company by the name of ‘The British Motor Corporation Limited’ was registered at the address of BMW (GB) Limited. However, a check on the Companies House website in November 2016 revealed that the company was in Liquidation. * Until 1974, when the Vanden Plas brand was transferred to Jaguar Cars Limited. Oddly enough, no – it didn’t. In 1975, BLMC was nationalised to become British Leyland Limited, with four main divisions: Leyland Cars, Leyland Truck and Bus, Leyland Special Products and Leyland International. However, BLMC Limited survived as a wholly-owned subsidiary of British Leyland Limited and is, in fact, still active today as a holding company registered at the address of BMW (GB) Limited. There was also a British Leyland subsidiary company called BLMC Engineering Limited, created in May 1987 with the renaming of Leyland Group Limited. In 1994, this was amongst a clutch of former BL subsidiaries which swapped names for administrative reasons, with BLMC Engineering Limited becoming Riley Motors Limited (and vice versa) on 7 November that year. However, within a couple of years, the ‘new’ BLMC Engineering Limited was then dissolved, on 28 March 1996. Meanwhile, a check on the Companies House website in November 2016 shows that Riley Motors Limited is still an active, albeit non-trading, company and registered at BMW (GB) Limited’s address. 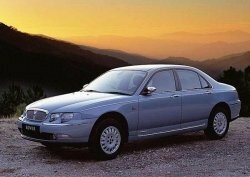 The Rover 75 was the first product of the BMW/Rover alliance to hit the market, and was a giant step forward from the Rover 800. However, many people believe that the car’s chassis is based upon the BMW 3 or 5 Series. This is certainly not the case, and its large transmission tunnel was set-up in order to give the car impressive torsional rigidity. There is no space for a rear differential without significant modification, as MG Rover/Prodrive found during the development of the ZT V8. The basis of this story lies with the fact that, during the months following the BMW takeover, a concept called ‘Flagship’ was developed, as styled by Richard Woolley. It is Woolley himself who explained the situation: ‘The story originated from the fact, very early on during BMW ownership, we did look at ‘re-cycling’ the then outgoing E34-generation 5 Series platform for Flagship. ‘BMW was about to launch the E39, and all the tooling for the old model’s underpinnings were theoretically available, sourced from the South African BMW plant. It was an idea that BMW suggested we investigate.’ This large car (a kind of latter-day P5) would have sat on a modified BMW 5 Series platform, but was cancelled shortly after the styling proposal was completed. According to folklore, this car was styled by Giorgetto Giugiaro in his Italian studio – in truth, it was styled by Harris Mann in his Longbridge studio. Ital Design were, in fact, somewhat less involved in the design process – simply handling its productionisation. Of course, the story soon got out that the Morris Ital was actually the work of Giugiaro and, as one insider has subsequently said, ‘…why spoil the story with facts!’ It may have been good for the image of Austin-Morris, perhaps it was less so for Ital Design. When the Ital was finally laid to rest in 1984, the motoring press mourned the demise of the once-proud Morris marque, now consigned to history just as Riley and Wolseley had been. However, this was a little premature: while the Ital was indeed the last car to carry the Morris badge, the brand lived on for another year or so on the Metro van. Soon after the XJ40 was launched, a rather curious story started doing the rounds: during the dark years, it has been said that the XJ40’s engine bay was deliberately designed in such a way, that it would be impossible for the Rover V8 to fit under the bonnet. Thanks to Richard Porter for this particular insight. These two statements are about as common as each other, yet neither is entirely true. First off, the 4-Litre R’s engine – designated FB60 – was never actually used in any other production vehicle, Rolls-Royce or otherwise. The FB60 was developed by Rolls-Royce in the late 1950s, as an all-alloy version of their cast-iron 6-cylinder, 4½-litre B60 engine, with a variety of other refinements such as hydraulic tappets and a reduction in the cylinder stroke measurement; despite its reduced capacity, in production form the FB60 produced 175bhp – around a third more than the B60 could manage. 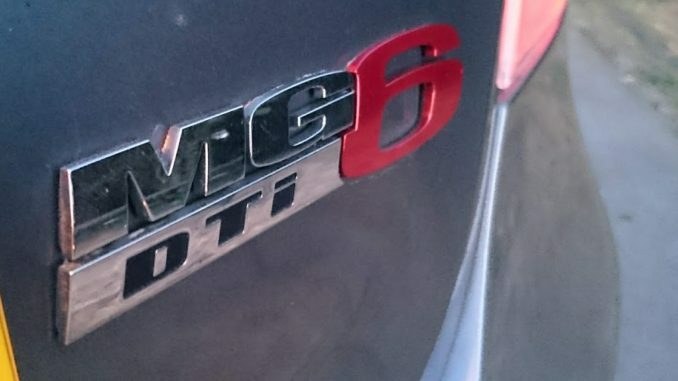 The FB60 unit became available to BMC as a result of their abortive collaboration with Rolls-Royce, which could have seen it used in proposed models such as the Rolls-Royce Rangoon and Bentley Bengal. Later on, there was also a plan to use the engine in the ADO24 roadster (the so-called Austin-Healey 4000), but this project was also shelved. The original B60 unit, dating back to just before WWII, had indeed been developed primarily for military use; it was part of Rolls-Royce’s B-Series range of modular engines, along with its 4- and 8-cylinder counterparts (designated B40 and B80 respectively). However, following the war, the B60 and B80 engines were also pressed into service, between them powering all Rolls-Royce and Bentley cars right up until the end of the 1950s (when the B-Series gave way to the new V8 unit which went on to serve them into the new Millennium). Incidentally, the B40 unit was also used in the Austin Champ off-roader, while the B80 and related B81 engines found their way into Alvis’s range of armoured cars. So, in short, the FB60 was not strictly-speaking a military engine, but it was a development of a Rolls-Royce engine which had been used both in military vehicles and civilian cars. Er, nope. It actually stands for ‘Rolls-Royce’, of course. The ‘royal’ rumour started soon after the car emerged in the 1960s, and has never fully gone away – it may have originated due to the ‘Princess’ connection. There are those who will claim that the Public Carriage Office’s Conditons of Fitness – the rules which govern the design and condition of licensed taxicabs – still specify to this day that all such cabs must be capable of carrying ‘a bale of hay for the horses’, an apparent throwback to the days of horse-drawn cabs. (There are even those who insist that the rules state that a bale must actually be carried). How curious it is that this particular requirement wasn’t dropped when motor-driven taxis emerged… The truth is that there is no such requirement, nor has there ever been. It was merely incumbent upon drivers of horse-drawn Hackney carriages to ensure that their animals were adequately fed and watered. With thanks to ‘an insider’, Stephen Harper and Richard Woolley for their help. Interesting article, busted a few myths there! “The Jaguar X type is a Mondeo in drag”. It used a modified mk3 Mondeo (itself regarded as a good car) platform, in the end sharing very few parts with this car. Besides which, platform sharing is a fact of life for large automotive groups (of which Jag being part of Ford at the time) – cf. Passat / A4 / Superb. 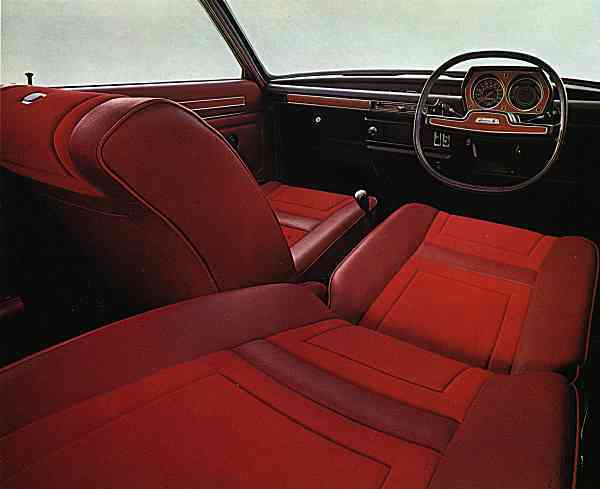 I’m again in my ‘Allegro’ mood and think the interior shot above is rather pleasing. Do you think Harris Mann himself had a hand in the naming of the facelifted Marina as the Ital, after Guigaro famously snubbed him over his styling of the TR7- ‘Oh my God- they’ve done it to the other side as well!’? I doubt Guigaro can walk down any street these days without uttering that immortal phrase, Harris’s slashes are all the rage now. @4 – Pedalling an old wives tail yourself there. Volvo S60/V60/V70/S80 all use the Ford EUCD platform as developed for the current Mondeo, SMAX and Galaxy. The EUCD itself is related to the Ford C1 platform used by the previous generation Focus/CMax/Kuga, small Volvos and in much modified form the Freelander/Evoque. Heres another old wives tail. Apparently the rear wheel drive, 3 series based BMW 1 series is really the front wheel drive Rover R30. My point was that many manufacturers platform share, and it made sense within the Ford empire for their premium marques to platform share with some half decent developed platforms. Re: Allegro / Wheels fall off. I’d been looking into this as a Minor old wives tale, apparently occasionally occurs if the kingpin isn’t properly greased and the trunion collapses. Marinas (not specially vans, pickups, or estates, which had stiffer springs) would occasionally suffer leaf spring breakage on the back axle. Along with the above mentioned trunnion problem, inherited from the Minor, the Marina/Ital has the dubious distinction of being the only vehicle I know whose front AND back wheels may become seriously misaligned at any moment. Having said that, I once saw a 1986 Cavalier whose torsion beam rear axle had dropped off and realigned itself through ninety degrees, so that one of the wheels was standing vertically adjacent to the rear number plate. Not a pretty sight. While the Freelander 2 is based on Ford’s EUCD platform, Land Rover was at pains to point out that the Evoque only uses a few EUCD panels and is a new Land Rover lightweight vehicle platform. Apparently the desire to closely follow the lines of the LRX concept forced them down this route with packaging the rear passengers and suspension being a particular problem. One urban myth that has never been proven, as the company supposedly backed down in the face of union and government disapproval, was Allegro production was topped up by the import of a couple of thousand cars from Belgium in 1978. I know the factory in Seneffe produced CKD Allegros and Minis until 1980, but I did hear these were strictly for lhd European markets. Couldn’t resist the opportunity to start a myth! Chrysler got hold of all the old drawings from the Rover 3ltr and drew the 300 shape over the top. Then decided to make it. Ha, yes. I seem to remember they had a ‘sum up’ comment too and that for the Fiat 126 read: “The world is not that small a place”. So, how was this proven? Reverse racing was done in reverse gear, which probably tops out at 25 mph. How does reverse beach racing prove better aerodynamics going backward? I used trolley jacks frequently in the 1970s/80s and never popped the back window out of any other car (although I did put the jack through the floor of a Midget once). The fact that it COULD happen to an Allegro simply pointed to the poor design of the body shell. Unfortunately, they didn’t rust and that was about the only good point. Best not to mention this if you ever visit Ital’s HQ in Italy..
Another one I heard was that CB40, the first generation Land Rover Freelander, was based on the underpinnings of the Rover 600 Series. One myth to add to others about the London Taxi: they never rust. Presumably it’s more a case of visbile rust not being allowed in service. And yes, aluminum body panels on Solihull products DO corrode. Glenn @13. This is actually true. There was a short run of Allegros with a four headlamp set-up. Can’t remember the model designation but it could have been ‘Sport’ or something similar. These were all imported from Belgium where the four headlamp set up was standard. I’ve seen at least one RHD 1300 Special in the Allegro Club, they imported a few and their build quality was very good. BL phased in Cibie sourced head lights around 77/78 (you can fit them today but need a conversion kit) and Ducillier distributors round the same time on E Series cars as it was actually Lucas striking which was causing the most issues in BL production. I remember seeing a news report from the 1970s which mentioned an entire day’s production of cars couldn’t be fitted with windscreen wiper motors due to a strike at Lucas. it had a life in weeks not months.The other interesting design feature was the hup cap design which told you when you were too close to the kerb.Occasionally on a high kerb the tyre would be off the road. It took about a year for the management to stop having bent hubcaps recorded as a police accident. @20. I had read that the floorpan for the original Freelander was based on a much modified Maestro. Keith, can you confirm which is right? I had a 1978 Allegro Special LE that was assembled in Belgium, so there were maybe more models brought over here than people realise. It haste standard single headlight set up. 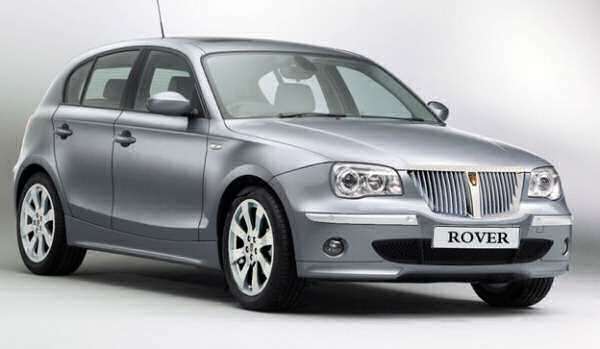 I have heard it mentioned that the BMW 1 Series was based on a Rover Concept that they kept, it would be nice to clarify that here. I definitely remember Allegros with “made in Belgium” stickers appearing in the compound at our local BL dealership around 1978. Re 25: The floor assy could actually be traced back to…yep, you guessed it, the Allegro! The Maestro connection came from the first powertrain bucks being built under Maestro vans. Re 26/7: There were quite a few Belgian Allegros built as RHD. An easy way to distinguish them from a Longbridge car was to check the amount of, and quality of, the sealant used in the boot. Lots and scruffy = Longbridge. Seneffe built RHD Allegros all had front carpets with the protective pad on the passenger side. The R30 / 1 series connection came about after the breakup, BMW kept the R30 plans. A few years later the similarly sized, styled and market positioned 1 series came about as an A3 / Golf competitor. If you read some sources, the car minus flame surfacing and RWD drivetrain is pure R30. If you read others, they’ll tell you that this is nonsense, and beyond any superficialities around the styling (almost all modern hatchbacks have a similar 2 box profile), that drivetrain would’ve required R30 to have been re-engineered anyway (unlikely to have R75 style large transmission tunnel). I’d likely fall towards the former. Certainly BMW lost interest and noted how Audi and Merc were moving their primary brand downmarket without harming the brand. Indeed, with the move towards smaller cars especially in cities, this was probably the right move to make – they did keep MINI as their citycar, though soon devising an upgrade path for buyers with families in the Countryman. The ownership of Land Rover also helped kickstart the ‘X’ range of SUVs, at a time when SUV sales were starting to skyrocket. What about the “Mini only ever sold at a loss” myth? I believe the truth is that it was only the initial base models which sold at a small loss. Later ones and anything with optional extras brought in profit. This myth is entirely due to a Ford study, using Ford methodologies. It’s derived from Ford’s practice of paying off the costs of press tooling over two years. BMC costed this over a longer period. The upshot of this was that Ford couldn’t see how BMC could make a profit – using Ford practices. Of course, they weren’t slow in bringing this news forward! ‘Completely Knocked Down’. A term that irritates me every time I read it. I confess to a lack of inside knowledge, but surely the cars can’t have been fully built, then partially dismantled for export, can they? It would be a pointless duplication of labour, and a set of assemblies would have taken up more shipping space than a fully built car. The Army may have dismantled and reassembled vehicles before and after lengthy sea journies in the days before proper, whole vehicle shipping had evolved, and it was something for their idle labour to do in peacetime, but I can’t believe the term can be accurately applied to car production. It’s true to say that the 75 and 3 Series are completely different cars. However, you put them next to each other and look at the way they are engineered and also from the pictures I have seen assembled and you see the same DNA. I suspect the reality is that although many millions was spent with separate designs, the end results is very much the same as if you had taken a 3 series platform, re-engineered FWD and re-skinned it. @32 CKD was something I think originated by Roots group. It’s never the case of vehicles being disassembled, its the concept that the vehicle basically arrives in a box to be assembled locally. Reality is you use the existing supply chain and component manufacturing facilities to supply an assembly plant in another location. However this is usually complicated by needing to bring in some local component supply to overcome import duties or local market preferences. @31 The truth is that I don’t think they had clue until the Edwards era. The concept of them losing money on each Mini came from Ford’s costing’s of the car. It would be nice to think that Leyland would have got a grip on it, but given that they went ahead with building the O series around the B series tooling without realising the decrepit state the tooling was in, I think we can conclude they would not have had a grip on the profitability of what could anyway have been a marginally profitable product. @30 You almost repeat the Urban Myth that the BMW X5 is based on Land Rover technology. The truth is that it was already signed off as a design when BMW bought Rover, being based on the BMW E39 platform. The only thing it had of Land Rover origin was the hill decent system from the Freelander. Given that Land Rover got the Freelander production engineered (rather than having body shells shipped in from Finland as BAe planned) and BMW body shell DNA plus a load of BMW electronic know how for the 3rd gen Range Rover, Land Rover got by far the better end of the deal. This is true, but then BMWs position of finding yourself owning what could be argued as the world experts in 4×4 wouldn’t have hurt either at a time when developing their own 4×4 products. LR got a lot from BMW, yes, but then as-then an integral part of the Bavarian empire it would’ve been surprising if they hadn’t. But how much LR knowledge did BMW need to produce their SUVs? They weren’t trying to produce a machine to go to the extremes of the planet, but rather a road orientated sporty vehicle, i.e. a take the existing 4WD 5 series estate, make it taller and give it trendy SUV styling! But then the market was headed that way towards lifestyle vehicles, something that wasn’t lost on RG/LR themselves when developing the Freelander. LR didn’t develop the X- series. LR may or may not have contributed towards X- development. The R30 may or may not have contributed towards the 1 series. Never made any money. Urban myth or what? I’ve heard the ADO16 did make a (small) profit per car, at least according to the A-Z of Cars of the 1970s. Supposedly the Allegro broke even due to some common parts with the Mini, which meant BL could place larger orders for componants at a discount. This is mentioned in one of the Mini history books. MK3 Allegros definitely did rust! My Dad bought a brand new one in 1980 and it started rusting when it was 2 years old. Every time you shut the door chunks of rust would fall off. There were quite big holes near the door handles…. @42 BMC and BL profits were far from substantial, they fundamentally failed to generate profits sufficient to fund the development of new cars and modernise the factories. BMC ended up merging with Leyland simply because it ran out of cash in the late 60’s despite the success of the ADO16. The biginvestment programs of the early days of British Leyland were still only some 30% of where they needed to be to stay competitive in the European market. British Leyland’s cash came from its Truck and Bus division, success of the XJ6 and continued strong demand for the P6, Land Rover, Range Rover and MG / Triumph Sports Cars in the states. Also the operation borrowed heavily from both investors and banks to keep the cash coming in. Its clear though looking at the Leyland accounts that there was a large black hole in the volume car division. In theory Mini and ADO16 should have been delivering good returns, but missed production targets, high warranty claims and lost production to industrial actions turned the bottom line a consistent colour of red. Would this be a good place to get rid of the myth that the Marina was a rebodied Minor? The other myth that needs busting is that William Morris set up the Morris Motor Company in the late 19th century.. The marina wasn’t a re bodied minor, it just used the same suspension design to save money along with a larger capacity A series. It was very much designed on the cheap, so all the major components had to be pre existing. I’m just surprised it didn’t have Austin 1800 doors. The Marina was a flop is one I’ve heard a few times, or it was totally unreliable. The Marina sold over a million in its nine year lifetime and was Britain’s third best selling car in 1973. Also while not particularly well built, the Marina was powered by generally reliable engines and was very cheap and easy to maintain. While the Marina sold at a decent rate BL had assumed they would be selling about 300,000 a year, when they were lucky to get half that many orders. @ Richard 16378, BL were probably hoping the Allegro would deliver the same sort of sales to private buyers that the ADO 16 did and more discerning family car buyers would flock to the advanced Maxi and Princess. The Marina really was created as a competitor to the Cortina in the fleet market, with its simple rwd technology and unassuming design, and when its Austin stablemates fell short of expectations, the Marina became the company’s best selling car after the Mini. In some respects it wasn’t much cop, the handling was poor, it lacked the ride sophistication of the Princess and was dull to look at and drive, but somehow the Marina gave its considerable following what they wanted. When it was relaunched as the Ital, with a modified A plus engine and improvements to the O series, the old stager lived on as cheap, reliable family car. I owned a few Marina 1.8, 1.3 and tc’s through the years and can honestly say that their engines were bullet proof and very very reliable. The problem lay with the gearbox on 1.8 tc’s, they were absolute crap. under a lot of heavy use for a period of time you could completely destroy them. The Marina gt in sand glow I owned ate gearboxes and could not take the 95 bhp power output, which sounds feeble in today’s world of motoring. Would I be right in saying the gearbox originated from a Triumph dolomite or vice versa? Strange that the same G/B could handle the power from a Sprint then? The BHP difference between the two engines is only 4, with advantage to the Marina. The 1.3 G/B was used in the 1.5 Midget. The Sprint used a ‘Three Rail’ gearbox which is totally different from the single rail Marina unit. It’s right about the TC eating gearboxes, early input shaft bearings were too small and synchro cones were too feeble to handle the power from what was (mostly) a MGB spec engine. Reverse gear teeth could also shear on the gearbox but later Morris/Triumph units were modified to fix this. The scandle of course was BL management not allowing the TC Marina to use either the MGB gearbox or the Three Rail Triumph gearbox, both of which had the luxury of overdrive which could have also made the US Austin Marina a much more sellable vehicle. The noticeable “sag” of the boot of the Jaguar XJ40, was this really due to a collapse in the clay model from which toolmakers took their dimensions, or an urban myth? An Allegro towing a caravan accelerated away from traffic lights and all doors flew open . The weight of the van had stretched the body !!! Marinas were built accidentally with one front disc brake and one front drum brake . Can anyone confirm or deny any of the above . I’ve heard Allegros were banned from the Mersey tunnel for a time because the tow trucks on call to remove broken down cars would cause them to bend in the middle due to not having a front subframe. Supposedly one of the TVRs had an odd shape in the side after the sculpter’s dog scratched the clay model & he like the look of it & added one on the other side. The Hillman Imp’s engine was designed to be used to run the pumps in fire engines. The Reliant diecast engine was an OHV version of the Austin 7 unit. The Citroen DS should have had a flat 6 based on the 2CV engine, but they couldn’t afford to make it. Lucas electricals used to burn out randomly, especially the 6 volt systems. Regarding the Citroen DS it was originally meant to have a flat 6 engine, not sure if it was based on the 2CV engine. Walter Becchia designed to flat 6 engines for the DS, one water cooled and the other aircooled. Prototype engines were built but Citroen could not afford to put either of them into production. So it used a modified Traction Avant engine. OK I thought it was half right about the DS engine. The Imp engine indeed was based on the same block as those used in fire engines. The engine was first used as a motor racing engine by Lotus, before appearing modified in both the Elite and the Imp. I thought the Imp unit had been used in fire engines, but wasn’t sure if it was before or after the Imp came along. The Reliant engines have also been used for fire pumps. The TVR story is apparently correct. Peter Wheeler’s dog ( an English Pointer if I remember correctly) bit a chunk out of the front bumper on the Chamaera clay model, just below one of the indicators. This ‘feature’ was adopted on both the Chaemera and the later Cerbera. I was thinking it might be true, but a lot of things mentioned here could be either way. The ultimate myth that has been blown by recent articles on here about Jaguar in the nineties, the privatised company under John Egan was a massive success. Probably true in the early days when they were building the last generation Jaguar XJ6 and 12, but problems with the XJ40 nearly bankrupted them and Ford stepped in to save the company. Egan was able to make Jaguar look good financially due to a piece of luck…..Jaguar had hedged against the dollar at a very beneficial rate. When that hedging ran out, the finances took a nose-dive. The Corsair’s front end would lift off the ground if driven into a headwind too fast. The Sierra is basically a Cortina with jellymould bodywork. The Mk3 Granada is basically a Sierra with slightly bigger bodywork. 2nd hand dealers often refused to trade in D reg Escorts as they were made from a dodgy batch of steel that would rust badly. The steering wheel of the Mk1 Cortina was redesigned to save just 1d off the until price. The HCS units were a fudge because the planned new range of engines coudn’t meet emmision regulations. I expect every car manufacture would save a penny here or there on the design (as per your steering wheel example. My Father, who has worked for Fords often said to me that everything is costed down to the last penny. So if you have X amount of screws then do not miss any out when reassembling. Image saving one penny over a few million cars is a lot of money. Corsair did not lift off the ground – however the windscreens were so tight a fit that they use to use a rubber mallet to bash them in. Sierra uses heavily modified Cortina hardware – again Ford trying to save money. Mk3 Granada shares bits with a Sierra, as do all Ford cars of the time, but was actually a clean slate design and is a far better car than the original Jelly mould. It was the first car that a mainstream manufacturer offered ABS brakes in Europe. Dealers actually were not keen on trade deals on any of the Mk4 Escorts due to the quality of not just the body (my granddads Orion rusted away very quickly) but also those bloody rubbish lean burn engines. Mk1 Cortina steering wheel was redesigned and was actually 3mm thinner than the original design. I remember the Mk3 Granada used ABS as a selling point. Also being a top of the range model only available as a hatchback (originally) was a slightly radical change, only Rover & Renault trying this before. My dad’s Mk 1 Allegro lost both of its rear wheels in one holiday – it was the last British car he ever bought. Its predecessor was a Maxi whose gearbox self-destructed in the Scottish highlands. Thereafter we had Saabs and Volvos – shame because we all loved the three Austin 1300s we had in succession during the 1960s. The Austin Allegro rear wheel problem was acknowledged as a manufacturing fault and a safety recall was issued. I believe the re-work involved fitting a larger washer. But I might be wrong on that detail. I was a warranty administrator at the time and put through loads of claims for the re-work – I think we were allowed 0.70 of an hour, I might even recall the warranty fault code if I think hard enough. The Allegro wheel issue was caused by dealer ‘mechanics’ over-tightening the wheel bearings. You’re correct about the cause, Kev. The safety recall was to fit a bigger washer which prevented the wheel and hub assembly flying off if the bearing was inadvertently over-tightened. The 1961 E Type had a top speed of 150 mph and was the fastest car in the world at the time. Not quite true, press cars were tuned to reach a ton and a half, cars sold to private buyers had a top speed of 140 mph. No real evidence to support this at all. What did happen, however, was that the overriders were taken off, which was found to reduce drag significantly, and on the original test cars, Dunlop Racing tyres were used for the maximum tests. Incidentally, 140 is easily achieved on both of my 4.2 cars, but I have never had enough clear road even in Germany for anything higher than that – the road test cars required 5 or 6 miles to flatten out! My late partner had a series of basic Aggro 1100’s as company cars, horrible vehicles, and we always used my company cars for private trips as they were so much faster, quieter and more comfortable. All four wheels fell off of one Aggro whilst negotiating a roundabout in High Wycombe, fortunately whilst driving slowly. His final car with that company was a 2-door 1300 HL, so much better with reclining fabric-covered seats and a five-speed gear box, which was a joy to drive. I blame motoring journalists for the obsession of “cars based on other cars”. The Aston DB7 can’t be any good because it’s based on the XJS. The X-Type can’t be any good because it’s based on the Mondeo and so on. Judge each car on its own merits! If it is a good car, what does it matter what it’s based on? In some respects, it would be truer to say that Mondeo was based on X-Type! The only way Ford could justify the cost of body tooling, was to add vastly inflated production forecasts for X-Type. And yet similarities between the platforms used for Audis and those used for VWs / Skodas / SEATs are glossed over. Saab seemed to escape most of the flak when using GM platforms, even through it bestowed the 9-3 with numb handling at best.